What a delightful little painting. It made me think of Audrey Hepburn in Roman Holiday for some reason. Beautiful!! Have you ever done a show of your paintings? Fun! 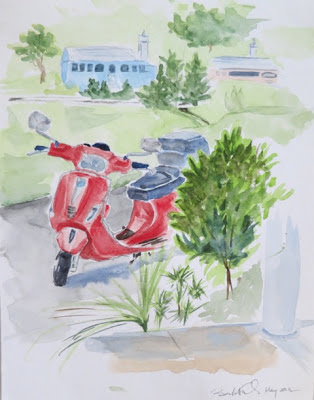 Maybe you will get a Vespa in return someday.